Hi Folks..and a Happy New Year to all. A kind soul has purchased me one of those CanBus interface boxes for Christmas. You know the ones that plug into the CanBus system and then run aux lights, heated jackets etc. Functionality can then be adjusted via the wonder wheel. Amazing!! 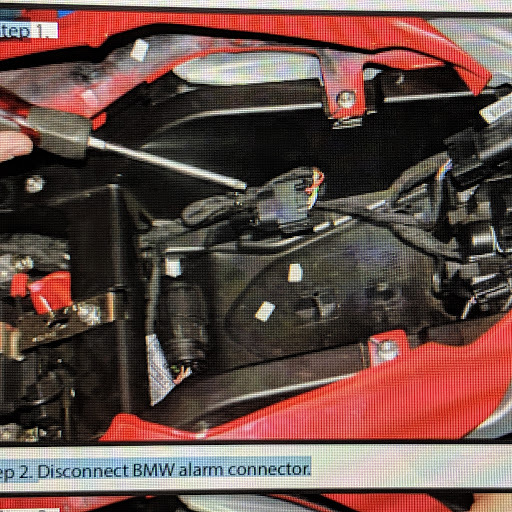 However, on inspection, the manufacturer only claims it works with the GS, GSA and RT although, having contacted them, they see no reason why it wouldn't work with the XR. Indeed they are very keen to hear how I get on. Unfortunately, they only have instructions for the above and could not offer any advice as to where the CanBus module, which their unit is plugged into via male/female plugs, is located. I know it's under the seat on a GS but no idea where on the XR. Local BMW dealer weren't of any help either. Has anyone got any idea?? 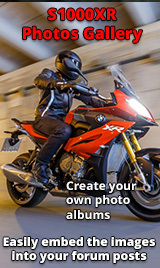 You might want to take a look at the Clearwater manuals for installing their CANbuster on the XR. I have one and it plugs inline with a connector under the seat. Grab one of the manuals listed for the XR for pics. Thanks. I'll have a look at those. Jay Jay, The GS and the XR use entirely different sockets for interface with the canbus, hence incompatible. For the XR it is the blind one plugged into a dead end socket with a resistor. It was meant for the factory alarm but we all know the XR does not have one, so it is plugged into this dead end socket. Thats the one the screwdriver is pointing to. Thanks for that Aviator. I had been looking at that connector and , as you say, they are totally different so I was coming to the same conclusion. Back to the drawing board I suppose. I have contacted to https://hexezcan.com guys couple of months ago and they replied me that the connectors are different than GS and working on it. Actually they replied on May but as I checked they still didn't release the one for XR. I will be watching how it goes because as I saw on the instructions Cyclops gives Left and Right Aux Brake light output. This is what I'm searching for. I want to put two (left & right) Led bars to my v47 givi topcase. I'm note sure if Cyclops can operate them as also turn signals but I think we will see. P3 Lights from Skene Lights will do this. It is also compatible with Canbus. For mounting the P3's LED modules on the topcase you can use their side case kit. It comes with quick disconnects so you can remove the case when needed. Yes, I know. I can go with IQ-270-TS controller for my need. But I don't want to tap oem brake light and turn signal harness If I can get that messeges over can-bus. For those interested, I see that there are now both a Hex EZcan and a Denali Smartcan controllers available for the 15-19 S1000XR.